Purify + hydrate + brighten. 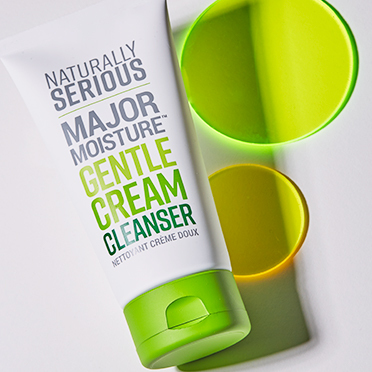 Melt away makeup and reveal smoother, brighter-looking skin with this gentle cream cleanser! Naturally powered by exfoliating pomegranate enzyme and brightening licorice root extract, the moisturizing formula contains nourishing coconut oil to remove makeup, excess oil and impurities. Probiotics work to restore skins natural balance while squalane and bisabolol help soothe skins appearance. Utilizes an exclusive Anti-Pollution Blend of 6 anti-oxidants (pomegranate, goji berry, grape seed, green tea, red tea and white tea) and Active Rescue Complex (edelweiss, imperatoria, swiss stone pine and ViaPure Coleus) to help combat visible signs of aging caused by UV rays, pollution, free radical damage and other environmental aggressors. The result? A smoother, brighter-looking complexion! Work to restore skin’s natural balance. Work to exfoliate skin and increase cell renewal for a smoother, brighter-looking complexion. Helps nourish skin and melt away long-wear makeup. Water/Aqua/Eau, Sodium Cocoyl Isethionate, Glycerin, Glyceryl Stearate SE, Stearic Acid, Cocos Nucifera (Coconut) Oil, Cetearyl Alcohol, Propanediol, Aspalathus Linearis Leaf Extract, Camellia Sinensis Leaf Extract, Lycium Barbarum Fruit Extract, Punica Granatum Extract, Vitis Vinifera (Grape) Seed Extract, Leuconostoc/Radish Root Ferment Filtrate, Lactobacillus/Punica Granatum Fruit Ferment Extract, Pinus Cembra Wood Extract, Squalane, Leontopodium Alpinum Extract, Peucedanum Ostruthium Leaf Extract, Glycyrrhiza Glabra (Licorice) Root Extract, Coleus Barbatus Root Extract, Sodium Phytate, Maltodextrin, Bisabolol, Sodium Hydroxide, Xanthan Gum, Pentylene Glycol, Phenethyl Alcohol, Limonene, Linalool, Citral, Fragrance/Parfum*. Apply to dampened skin in the A.M. and P.M., massaging in a circular motion. Rinse with warm water and pat dry. Follow with skin care regimen.